- I agree to abide by the rules and regulations of the JDF Skating Club as determined by Skate Canada and the Board of Directors. These rules and regulations, as well as guidelines for safe sport and expected skating etiquette, are posted both here on our website and at the arena. - I understand that the following policies must be read and accepted to register skaters in JDF Skating Club programs: "Skate Canada Code of Ethics" and "JDF Skating Club Agreement". - I understand that the JDF Skating Club, its board members, coaches, and volunteers are not responsible for any accidents, injuries or loss of personal belongings either on or off the ice. 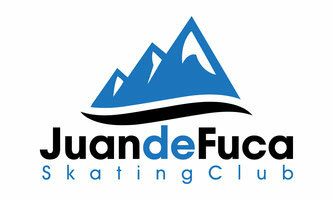 - I understand that the JDF Skating Club is not responsible for cancellation of classes due to unavailable ice but will make every effort to re-schedule, if at all possible. - I understand that no refunds will be issued after the first day of skating unless for medical circumstances. I understand that all requests for medical refunds must be submitted in writing and accompanying medical documents may be required. All refunds are at the discretion of the JDF Skating Club Board of Directors (Skate Canada Membership Fee is Non-Refundable).